you might win or you may lose. the very fact of your continuing to struggle is proof of your victory as a human being. developing these is victory and the world of Buddhahood. 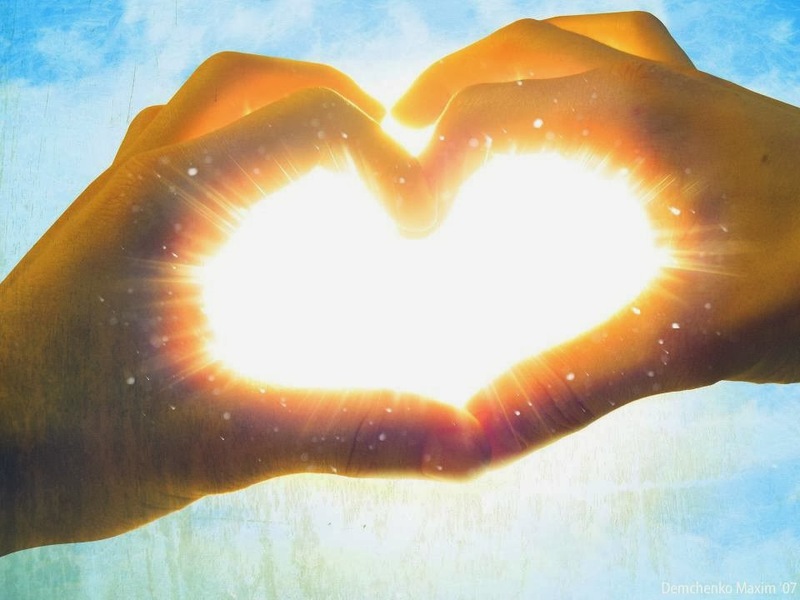 as dazzling as the sun on a clear day." 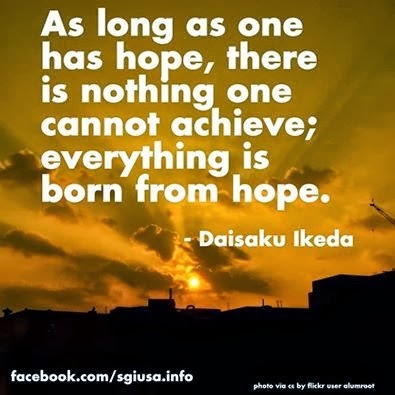 Both quotes are from "For Today and Tomorrow, Daily Encouragement by Daisaku Ikeda. How do we strengthen our practice? I believe it is in putting ourselves first...we put ourselves first by putting our practice first. When we put our practice first, the rest of our lives goes so much more smoothly. Stengthening our practice and putting our lives first is one of the primary keys to victory! for Chanting My Way to Absolute Happiness! I will no longer allow anything to stop me! My every Nam-myoho-renge-kyo is 10,000 times more powerful starting NOW! and I am raising my LIFE CONDITION! I am the Buddha! I keep my promise to chant twice a day every day! when I myself am strong and love myself! 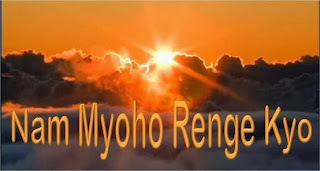 I love telling people about Nam-myoho-renge-kyo because my life is overflowing with benefits! The more I chant, the more I want to chant. and discovering who I really am. I feel the connection more deeply every time I chant. I AM the Buddha! I can FEEL it! and studying SGI periodicals and books. I am deepening my understanding of what I study with every Daimoku I chant. I am open to learning! My eyes are opening. My depth of understanding is growing! and what I see happening in my life. 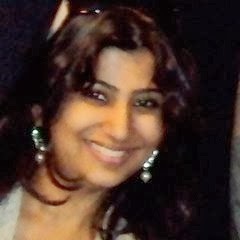 Inspiration from a new YWD member ~ Upsana Arora in Kolkata, India! I live with my mom and dad. My brother who's a 2nd year engineering student is in the University of Sheffield in the UK right now. When I first came into the practice, my prayers were based mainly on my desires. Desire to get this, that, have so and so in my life, etc... and I did get all that I chanted for! This was what made my faith in this practice so strong. Seeing benefits, and simultaneously attending the May 3 meeting changed my life and made me the practitioner I am today. Over time, with more daimoku and study (which apart from the Gosho, and Sensei's writings includes your blog as well) what has fundamentally changed in me is the way I pray. Now, instead of just focusing on what I want for myself, I try and see how my prayer will benefit people at large. For example, I wish to be a successful montessori teacher, but now, not just for my satisfaction or any other material benefit, but also so that I can from a very early age imbibe good values in young minds so that they can grow to become Buddhas and fulfill their lives mission. I chant for a good partner... and I know exactly the kind of person I want. And I want it so that my relationship gives me happiness, and also can be a hope to many others that such wonderful things do happen and people can find their dream/kosen rufu partners. I chant for good health and happiness of my parents and brother, and wish that like mom and me, they too will start chanting some day! My brothet has started though, but he isn't very consistent. Chanting fills me with hope, with a renewed vigour. I do feel low at times and even feel lazy to chant. But when I make myself come out of this low life state and do even 10 mins of daimoku I feel my worries are taken care of. I feel light and happy! (my very first study) with my fellow ywd and a very dear friend on our last Zadankai about the youth's opinion on world peace and I'm glad to share that our study was loved and appreciated by everyone present at the meeting! I wrote to you today because I just wanted to share my experience with you about the practice which I got into 5 months ago. And also wanted to thank you yet again for being so instrumental in firming my belief in this life changing philosophy and also changing my life for the best! Do you have ANY idea how courageous, how strong, how loving and wonderful you are? I have received countless emails this week encouraging ME. Encouraging me...for encouraging you! You see that I am going through some amazing challenges...really the biggest challenge of my life so far, and you are encouraging me. You are sending warm words of hope and sending your updates on how the Worldwide Million Daimoku Campaign is going for you. Thanks! As one of you noted, Sensei says that those who can encourage others, even while going through their own firestorms...they are the greatest of people. 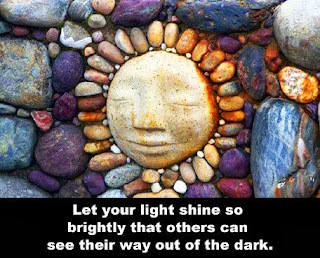 (I paraphrase here, but I'm sure you've seen the quote) And each of us noble Bohisattvas of the earth have that power. Did you know that the readership of this blog is now at 30k a month? My goal is 50k by November 18th! Thank you for helping! I know it is because of each one of you forwarding the url (chantforhappiness@blogspot.com, or chantforhappiness.com) to your fellow members or shakubuku. Did you notice that there are icons below each post? You can forward your favorite posts via email, facebook, or twitter. And I have a new twitter account: Chant for Happiness@JamieLeeSilver. I just found out how to work twitter recently and I'm still learning. You can follow me there if you like. I occasionally when I am about to chant and you can join me. It's not too late to join the Million Daimoku Campaign - email me at chantforhappiness@gmail.com to let me know you're in! Also send me your goals (if you wish), questions, challenges, Victories and pictures. I won't ever print anything on this blog without your written permission. And if you'd like to know more about talking to me on the phone send an email to chantforhappiness.com. Have a great day! Morag Waghouse sent me this from the UK today. Thanks Morag! Enjoy! Fred walks into a pet shop and wants to buy a parrot. the salesman show him two and says this mynah bird has an extensive vocabulary and is $1000. This green one has less words but whistles a tune and is £500. 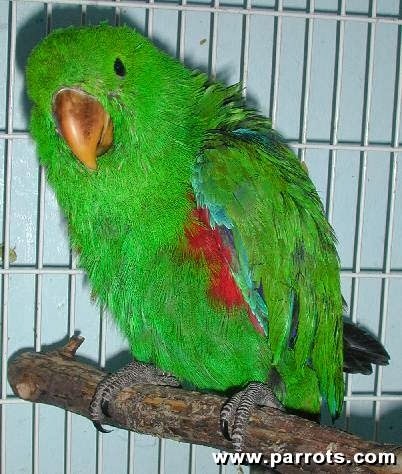 Fred looks at them and spots a little green parrot in the corner, marked at $10. "What's up with that one?" he asks. The salesman sighs and says 'He only says the one thing over and over, Nam-myoho-renge-kyo." Fred decides he'll risk it and buys it on the spot. He takes it home feeds and waters it, gives it some toys and chews...the parrot settles down very happily and in between feeding and playing, constantly chants nam-myoho-renge-kyo. From that day Fred's life changed. He got a promotion at work, a great new girl friend, he was healthy and very happy...the benefits were constant, almost overwhelming..and all the while the parrot chanted and chanted. One day he passes the pet shop and the salesman recognized him. -"How's that parrot?" he asked...Fred replied "Well its fantastic. Since I got him my life has been transformed. Every now and again I could do with a rest from the chanting....is there a way to shut him up?" The salesman looks shifty so Fred presses him "Go on, there must be a way." The salesman sighs again, 'Well it makes a change anyway...all you have to do is ring this bell 3 times." "Myoho renge kyo hoben pon di ne, niji sezon......."
Channel Our Energy Towards Winning~! It all comes down to us. How deeply can we dig in our lives to overcome OUR OWN "war" within us? How much can we truly tap into the power of Nam-myoho-renge-kyo that exists within us and within everything? If everything around us is a reflection of who we are, and a reflection of our very lives, then WE possess the power to change everything. Don't we? Yes. As long as we don't blame anyone or anything for our problems. And as long as we practice correctly - chanting twice a day, encouraging others, going to SGI meetings and studying. We must keep realizing that the problem, the challenge, the negativity ~ is within our own lives. NOT OUT THERE. But that's GOOD NEWS because we possess the ultimate tool to change it, we belong to the incredible SGI (which is full of mentors and bodhisattvas who are also challenging their karma), and we have Daisaku Ikeda as a living mentor to show us how it is done. We are so fortunate! I've often talked about how each of us are standing in front of the door of our own karma, problems, challenges. Behind us are many, many others with the same problems just waiting for us to open the door with our powerful daimoku! When we open the door...everyone can stream through. I am often reminded of the hundred monkey story. Do you know that one? I may get a few details wrong but I hope you get the idea. Apparently there were several islands with monkeys. They were not connected by land. One monkey got the bright idea to wash his potato in the water before he ate it, so he didn't have to crunch on sand and dirt. Soon other monkeys on his island were also washing their potatoes...and after a certain amount of monkeys on one island were washing their potatoes, suddenly the monkeys on other island began washing their potatoes too. Somehow, through the web of life, the new concept spread and became available to all the monkeys. Do you see the connection? I know when I chant and overcome my problems it is not just for me. 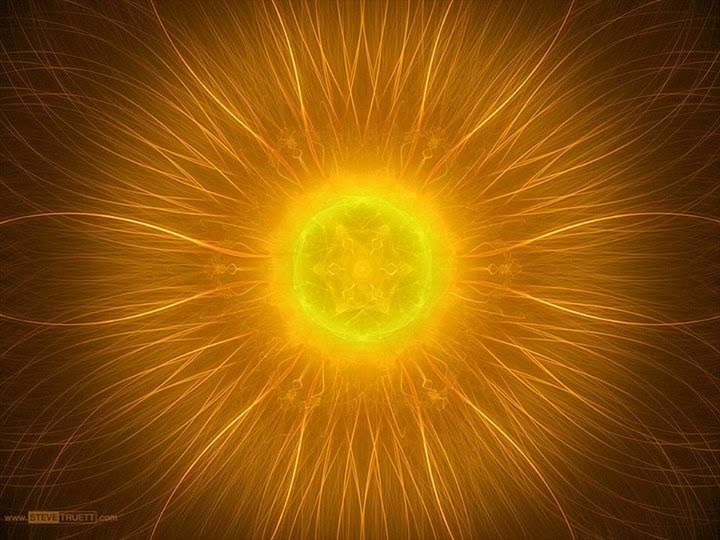 Because of the interconnectivity of life (dependent origination) when I change my karma, ALL karma is changed. I believe this is the basis behind Kosen Rufu as well. 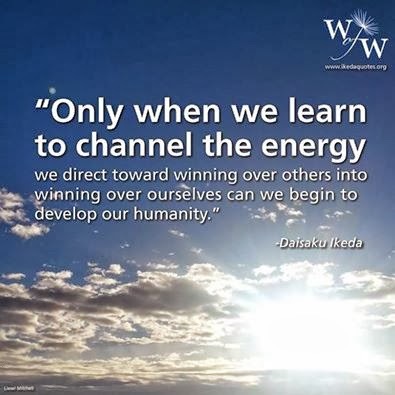 And when we chant with the understanding that changing OUR problem will impact everyone...I think that is when we connect with our power the most deeply. Buddhism is advanced life study. That's what it is. As I always say, it is not for the faint of heart. it is not for sissies. Buddhism requires the courage and the ichinen (courage and will put into action) to tackle life's problems head on and not run from them. Sure, somethimes we think it may be easier to ignore or deny our problems, or to take a drink or use some drug to change things (and I am not advocating against prescription drugs here - they can be very useful. I am talking about recreational drugs). But we have to know that those things will not solve our problems. We need to face them head on. I just arose from two solid hours of daimoku (chanting Nam-myoho-renge-kyo). I was glued to the Gohonzon (scroll we focus on when we chant that represents our highest life condition- the life of the Buddha). I'm sure you know that kind of daimoku...the kind where the time flies, and you KNOW that you have impacted your world and the universe through your prayer. I was chanting that through my daimoku this very morning that I impact my son's health karma. I chanted to use my life to impact him. I told those shoten zenjin (protective forces of the universe) that they had better protect me and my family. We are votaries of the Lotus Sutra. They MUST respond to my prayers and protect my son with the BEST help and practitioners for his illness. And I chanted to light up my brain with wisdom and clarity...to rid my mind of confusion so that I know exactly what to do to help him in this challenging time. I chanted to stay strong, and BE THE BUDDHA at all times. I am the BUDDHA of my family. I must be courageous, strong and confident! As always, email me at chantforhappiness@gmail.com with your challenges, successes and comments. Let me know if you're interested in setting up a private coaching call. YOU are the Hero of Your Own Life! "It is important to have a long-range view. No great achievement is accomplished overnight or without difficulty. Should benefit be obtained easily, without our making serious efforts in our Buddhist practice, we'd probably easily abandon our faith and end up miserable. " Daisaku Ikeda, Faith in Action page 145, under perseverance. Yes, even though we might not like this, it is true. We do need to have a long range view. Yesterday I wrote about my overcoming my suffering where men were concerned. I talked about a certain 4 hour tozo where I yanked the karma of suffering over men out of my life by its very roots. This whole process did not happen overnight. I had to suffer for quite some time until I finally got to the point where I could pray THAT deeply...I had to go through the pain until I was absolutely DONE with that pain. It gave me the power to pray as if I were making fire from a stone. I had to build my life to the point of RESOLVE. Pure RESOLVE. "Buddhism teaches us that the individual writes and performs the script for his or her own life. Neither chance nor a divine being writes the script for us. We write it, and we are the actors who play it. This is an extremely positive philosophy, inherent in the teaching of 3,000 realms in a single moment of life. You are the author and the hero. To perform your play well, it is important to pound the script into your head so thoroughly that you can see it vividly before your eyes. You may need to rehearse in your mind. Sometimes it helps to write down your goals, copying them over and over and over until they are inscribed within your heart. 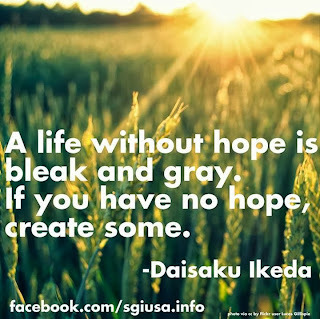 Daisaku Ikeda, Faith in Action, page 35, under Goals. So we need to persevere and trust our process. 'Because life is long, you should not be impatient. What matters most is that you embrace the Gohonzon throughout your life. It is vitally important to continually challenge yourself to chant even a little more daimoku and to pray before the Gohonzon for the fulfillment of your desires." Faith in Action page 145. Our daily practice provides the building blocks and the foundation for us to be strong in difficult times. As I have mentioned I have a difficult time going on right now, as do many of you. The important thing is for us all to keep persevering, keep studying, keep encouraging others and keep taking action in our lives! Last night we had a wonderful hour tozo (chanting Nam-myoho-renge-kyo) at my house and spent some time in discussion of our benefits and challenges. How I love my Gakkai family. I hope each of you are etablishing loving Gakkai families in your lives. 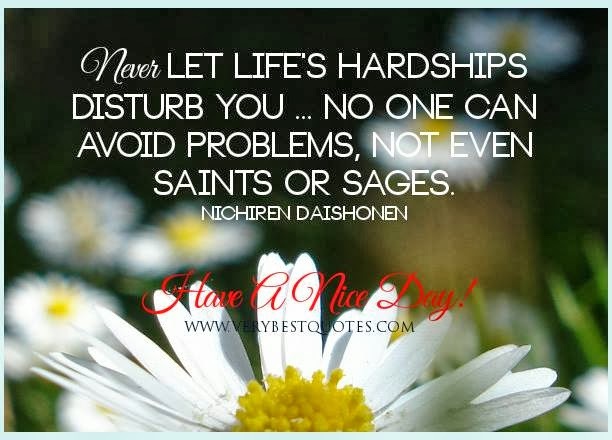 You can click on the SGI portal on the right to be connected, or email me at chantforhappiness@gmail.com and I will do all I can to help. PowerPrayer to ROOT the Cause of Your Karmic Suffering Out of Your Life! 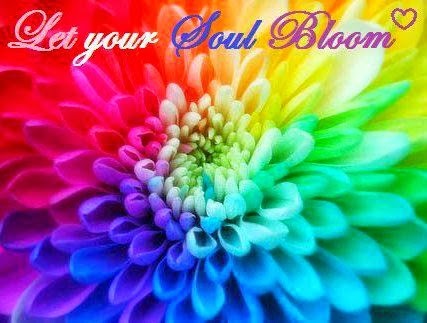 Let Your Buddhahood Bloom! If you've been chanting to change things in your life...if you've been chanting about relationships, your career etc...consider looking inward and chanting to change yourself. Changing your SELF - doing your human revolution is vital to your success~full practice. Once your root out the CAUSE of your suffering...your life changes. And the cool thing is ~ you don't have to know what the cause is, and you don't have to analyze it ~ all you have to do it chant to root it out! I did this in my own life. I was suffering about a man, as usual. (I had done my whole life with various men). And I realized that this pain was the same pain I had felt over and over since I was quite young. I was at a daimoku tozo with others and I just decided THIS WAS IT. I decided yank the karma of suffering and longing regarding men entirely out of my life forever. As I was chanting I was picturing the root of this suffering just coming right out of my abdomen, the center of emotion in the body. I chanted "never again will I suffer over wanting a man who does not want me!" Now, some of you may have never suffered over relationships, but I get enough emails to know that I am not alone! Many of us have, at various times felt this deep pain. Well. You, like me, can change it once and for all like I did. I'll never forget that day. I changed my life permanently using the tremendous power of my own ichinen, PowerPrayer and our brilliant practice of chanting Nam-myoho-renge-kyo. I have never felt that suffering since then, and I have had several wonderful men in my life since then. to root ANY suffering out of your life. What is the process? How do you permamently root the source of pain from your life? 1. Own the problem...realize that whatever you want to change may LOOK like it is outside yourself...but its roots are within your life. That means that you cannot complain or say "WHY ME?". Really you have to own it...not BLAME yourself (or anyone else) for it...and not feel guilty about it. 3. Take action to encourage others. Lighting a lantern for another lights your own way. permanently OUT OF MY LIFE! out of my life forever! I see it leaving my life. I am permanently yanking out the root of this suffering! to see the world through the eyes of the Buddha I am! I am determined to change in any way I need to change to accomplish________________ (you fill in the blank). and fire I need to create the life of my dreams. 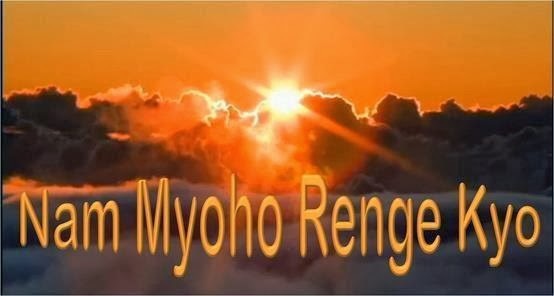 by chanting Nam Myoho Renge Kyo. I am ready to meet people who are ready to hear about this practice! I chant to have the most inspiring life. Gohonzon (my life) I need to see these results now!" You can do this...You Buddha YOU! Write me at chantforhappiness@gmail.com with your success strories - experiences. Please send your picture and your story of victory. I also offer personal consultations. Write me at the same address to find out more. Why are Practical Buddhist so Happy? What do I mean by "Practical Buddhist?" True Practical Buddhists chant every morning and evening and EVERY MORNING and evening. 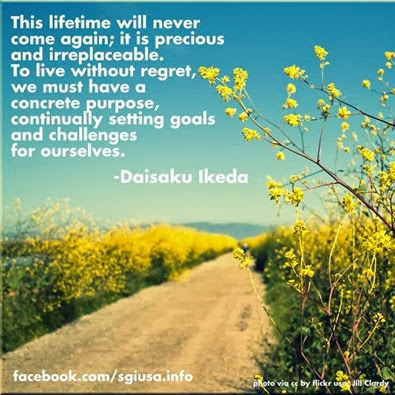 We study the works of Nichiren Daishonin, and the writings of Daisaku Ikeda, to learn the workings of the practice. We encourage each other and attend Soka Gakkai meetings. We introduce others to the practice because we are delighted with the results we see in our own lives from chanting. 1. Our Happiness is not based on our happiness alone. And we base our practice on RESULTS! We GET what we chant for, or something better, as long as we don't give up! Our happiness has a higher purpose. Don't get me wrong...happiness for any reason is great. Happiness is the purpose of our practice. But when we chant, we do not chant to be happy for the sake of happiness itself. 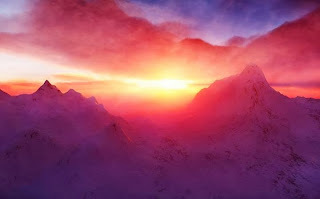 No, we chant to be happy so that I can prove to others that happiness is a choice, and that everyone can generate happiness if they chant Nam-myoho-renge-kyo. 2. We KNOW we have the POWER, and the TOOL to overcome our own negativity ~ and raise our "Life Condition" and become happy! It's true. When we chant the name of the rhythm of life itself ~ Nam-myoho-renge-kyo ~ we see results. And what will we WIN over? Ourselves. We are fighting and winning the biggest and most worthy battle of all...the battle over our own negativity. And the thing is, no one can do that but US. We are the only ones. And our negativity never entirely goes away, but our daily practice keeps it away, and is the source of our happiness. We talk about the "evil twin" in our minds telling us we can't do it, that we aren't strong enough and who do we think we are? When we chant consistently that voice recedes, and our true and powerful Buddha nature emerges. And we DO succeed! 3. We KNOW we can change our karma and make the impossible possible. Whether we have studied eastern religions or not, we are all familiar with karma no matter what name we call it. Karma is passed down from one generation to another. Karma is reoccurring problems...you know the odd way in which people marry one person, move on to the next and have the exact same problems crop up. Karma is nothing to be afraid of. It is only the sum total of every cause we have ever made through every existence we have ever had. And since, according to Nichiren Daishonin, those existences number more than grains of sand in the ocean, what need is there to fret about karma? And we do not need to spend countless lifetimes trying to undo every negative thing we have ever done. How could we? We don't even know what these things were. What we can do, is make the absolute most positive causes NOW. When we chant Nam-myoho-renge-kyo we are making the most positive cause for our lives. 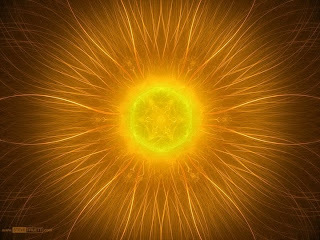 When we introduce others these causes are magnified across many existences because we have introduced them to the power to change their own and their family's karma. There's a concept I love called "Esho Funi". It means that we see and experience ourselves as separate from our environment (our environment is everything outside of our skin - the air we breathe, the couch we are sitting on, the music we hear, and each person, thing, animal in our environment and throughout the entire universe). But we are intricately connected to everything. That is why we can chant and change our lives. We change our inner lives, and because of the interconnectivity of life (also called "dependent origination") we are able to influence our environment. This is the fulcrum of true happiness and true power in our lives. Note: Chanting is a courageous practice, and keeping on target and maintaining practice can be a challenge. I am offering personal coaching by phone or skype. Email me at chantforhappiness@gmail.com to find out more. This Lifetime will Never Come Again! Why do we chant Nam-myoho-renge-kyo, and what makes this practice different than any other form of Buddhism? Click on the SGI Portal to the right to find out more about our organization. ~ People do not have to “convert” to Buddhism to chant. Anyone can chant. It's like meditation, or yoga..it's a practice. ~ The goal of this practice is RESULTS, also called actual proof, or benefits. 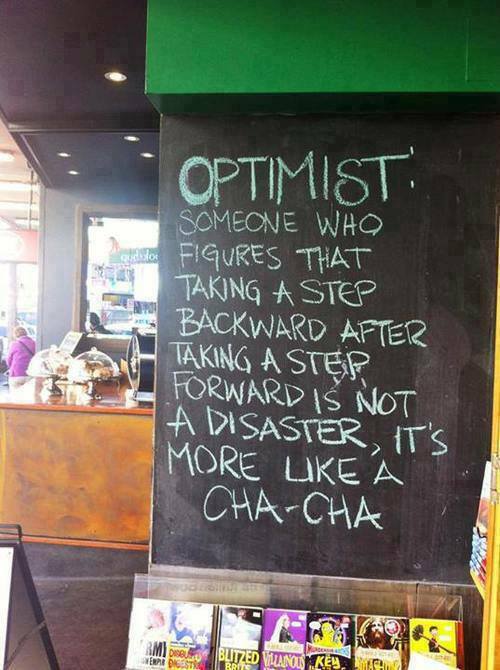 In other words - you get what you chant for- or something better - as long as you do not give up. ~ In this practice, each person is a Buddha, and possesses the entire power of the universe within their own lives. This is the awakening that the original Buddha experienced under the Bodhi tree. We all possess the potential for bringing forth our own Buddhahood (happiness and strength) through chanting Nam-myoho-renge-kyo, right now, in this lifetime ~ without having to focus on making other changes in our lives. Daisaku Ikeda is the President of the Soka Gakkai International. I write about him often. Several of the posts last week were on the mentor and disciple relationship. 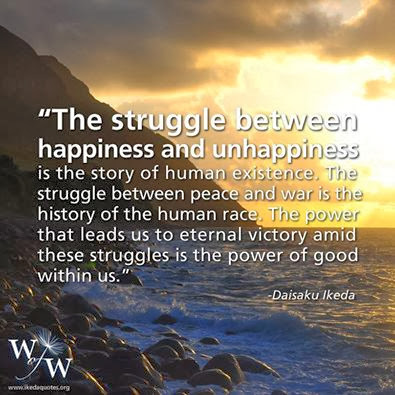 Daisaku Ikeda is an extraordinary human being that we connect with through his writings, his speeches, his actions and through our own hearts. ~ Desire is not the enemy. As I always say - the more desires you have the BETTER. Your desires lead you to chant...when you chant you change your karma. Each person chants for their desires from their heart. Alleviation of desire is NOT the goal of this practice. ~ There are no clergy, no robes and no temples. YOU have direct access to the power of the universe, your own Buddha power within. No intermediaries are needed. We SGI members practice together because we grow and learn together. There are SGI (Soka Gakkai - Value Creating Organization) community centers, and many smaller meetings are held in people’s homes. We are all normal people in the world living extraordinarily happy lives. ~ We are changing our karma every time we chant. We can change our karma. Karma is not immutable. Suffering is not "Noble", but it is part of life. The goal of chanting is HAPPINESS, not to learn to be better sufferers. ~ We do not chant “to” anything outside of us. There is no Higher Power in this practice. When we are chanting we access our own wisdom and power as a the Buddha, or awakened one. We are chanting to our own lives. ~The main practice is reciting the words Nam-myoho-renge-kyo over and over and over. Everyone on earth recites the same phrase. It means: "I fuse my life with the mystic (unfathomable) law of cause and effect through sound vibration"
~There are no lifestyle rules of any kind. All people...ALL people are welcome. ~ There is no guilt, there is only the awareness of the law of cause and effect. Confident Chanting = Confident Life ! Chanting with confidence? What does this even mean? It means chanting and KNOWING that at the exact moment you are chanting - your result is assured. As you go about your day you trust your prayer. I'll give you an example from my own life this week. This week has been one of he most challenging weeks of my entire life. From the Buddhist perspective I know I "summoned this storm" to strengthen my life. I am so grateful to be able to chant Nam-myoho-renge-kyo and access my own strength! I base every moment of my day on my daimoku and strong prayer. My practice is solidly at the center of my life, and I am USING this challenge to strengthen my prayer, strengthen my confidence and strengthen my life. My son is in the hospital, and there are decisions to be made about his care. On Friday there was a big decision to be made. I woke up and the first thing I did...the FIRST thing I did... was chant a solid hour, a SOLID hour of daimoku that he get the best possible care and that the shoten zenjin (protective forces within all life) rise up and protect him in every possible way. That hour of chanting flew by. It felt like five minutes. 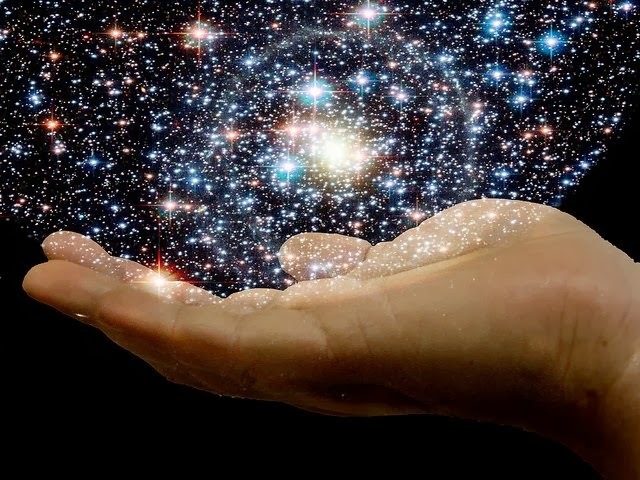 As I was chanting I was totally connected to the power of my own life...totally connected to the feeling, the KNOWING, that this cause was creating the effect. And as we went through the day the decision went back and forth and back and forth .... and finally...right when it came down to the wire, a professional called me back and told me exactly what I needed to hear to absolutely make the decision and know that it was the right one. Her call to me was precisely times to impact the situation at the crucial moment. And since I had chanted that solid hour of daimoku and I TRUSTED MY LIFE and made the decision. 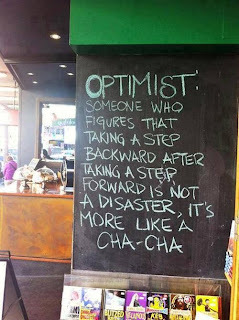 That is what I mean by Confident Chanting = Confident Life! What is Chanting All About? Together with me, they (the members) have refreshed their commitment ot kosen-rufu and are striving their hardest. THis is what it means to have an inner dialogue with one's mentor every day. The same is true of me and Mr. Toda. 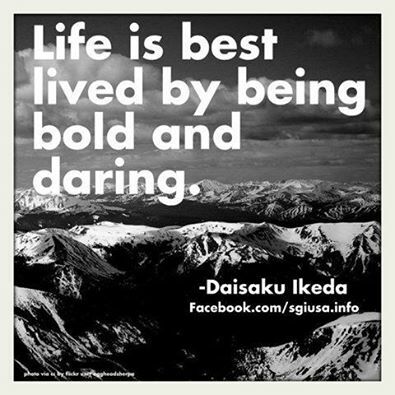 I talk with Mr. Toda in my heart every single day as I carry on with my struggles. He is always in my heart. 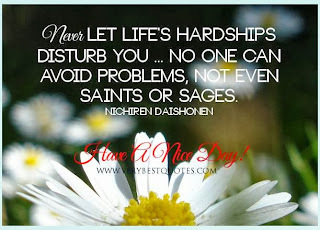 My standards are Nichiren Daishonin's writings and Mr. 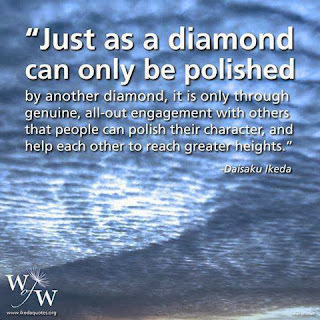 Toda., who read Nichiren Daishonin's writings and put them into practice with his entire being. I am always asking myself, "What would Mr. Toda do in this situation?' 'Were my actions today in line with Mr. Toda's spirit? ''Would Mr. Toda be happy or sad if he could see me right now?" The oneness of mentor and disciple starts from living life with the same spirit as one's mentor and always keeping the mentor firmly in one's heart. It is easy to talk about the way of mentor and disciple, but if our mentor isn't in our heart we aren't genuinely practicing Buddhism. 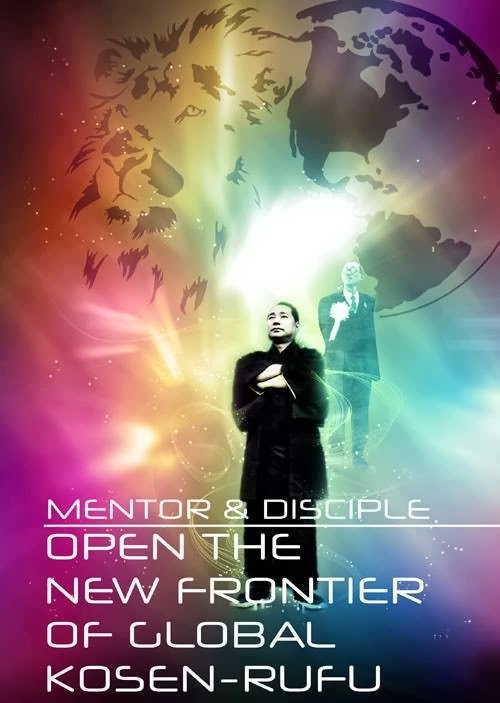 By thinking that the mentor exists outside oneself, he mentor's actions and guidance no longer serve as a spiritual compass. In that case, when the mentor's external evaluation of oneself becomes the standards for one's actions, one will strive hard when the mentor is strictly watching, but when the mentor isn't looking, one may become calculating and stop trying one's best. The faith of such a person will not deepen, and they won't be able to achieve their human revolution. If leaders fall prey to this tendency, they will extinguish the true spirit of Buddhism, and the pure realm of faith will become a realm of worldly affairs ruled by personal advantage and calculation. Only by firmly establishing the great way of the oneness of mentor and disciple in one's own heart can one further the eternal perpetuation of the law. 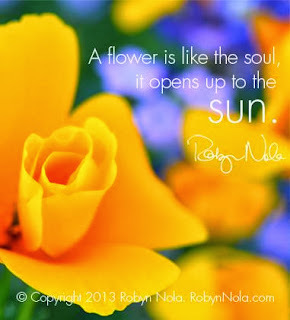 The purpose of this blog is to give you hope and inspiration....to keep that fire burning in you --- even when it seems like everything is rising up against you. Hope is the most important thing. It is important for me. It is important for you. It is important for all those around you that you maintain hope! What Is True Victory In Life? Burn With Ever Brighter Spirit! I Need a Web Developer! From the Muddy Swamp we turn Mud to GOLD! Read the Post below again! Faith is to Fear Nothing!